Getting a job these days is not a piece of cake anymore. People sometimes wish to have any job, regardless of what their expertise offer or what they would themselves like to do. 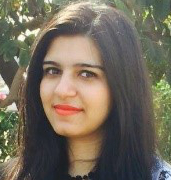 My name is Sana Shahid and I appreciate the efforts of Team careerz360 who helped me find not only a job but a career path that I wanted.